County lacks affordable housing as costs of homes rise and outpace wage growth. Create a partnership that creates more affordable housing options by 2035. It may mean more than just a roof over your head. “What we’re trying to do is help people stabilize themselves and their families, so they don’t have to struggle with other things like food or healthcare or childcare or just stress,” said Jim Williams, the strategic communications director for the Boulder County, Colo. Department of Housing and Human Services. 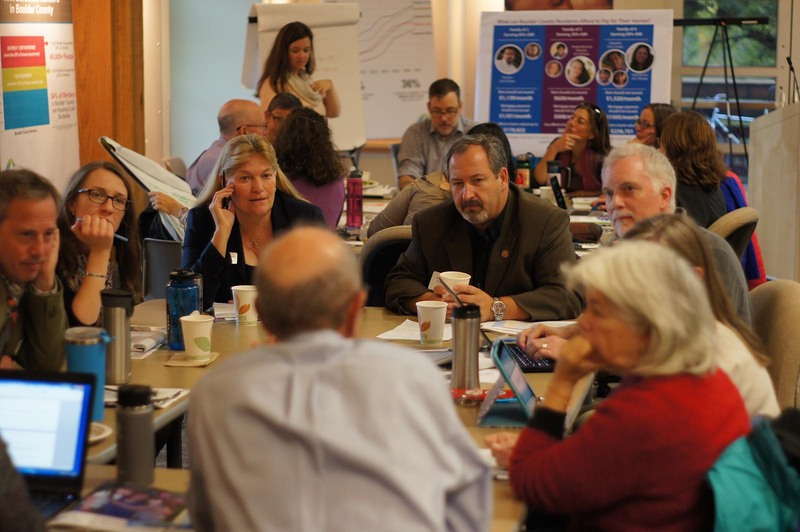 The Boulder County Regional Housing Partnership set an ambitious goal to address the affordable housing crisis in the community: Make 12 percent of all housing inventory permanently affordable to low- and middle-income earners by 2035. “It basically means out of all the housing that we know is going to be built or we expect to be built based on projections, 12 percent of that should be affordable in 2035,” Williams said. With only 5 percent of affordable housing stock currently available in the county, a coalition, which includes Boulder County, the city of Longmont and the city of Boulder, formed the Boulder County Regional Housing Partnership in 2016 to address the future of affordable housing. The partnership, which brings together cities, elected officials, community organizations and members from the public, created a plan known as the Regional Housing Strategy. The strategy seeks to create long-term housing affordability to boost the community and help working families, single mothers, teachers, first responders, seniors and those with disabilities. All but one jurisdiction in the county supports the plan and the 12 percent goal. According to Williams, the increase in the costs of homes in Boulder County, which rose 13.7 percent in 2016 to $529,000, has caused many individuals to move out of the county. He said this resulted in more people on the roads, increased commute times and made it more difficult for businesses to attract and retain talent. The partnership hopes to increase funding by $20 million per year to invest in community housing from sources in the private sector, the state and federal resources. According to Williams, the partnership has established a sub-committee of financial experts in the housing arena who can look at what it takes to build affordable housing. He said the additional $20 million may come from the business community, foundations or a future property or sales tax. Once funding has been secured, the housing authority contracts with private construction companies for affordable housing developments, which Williams said has mainly been new developments over the past decade. Based on the numbers, the partnership and strategy is working. The housing authority has added around 200 affordable homes in the past few years with plans to construct around 500 more; the city of Boulder has added 212 affordable homes with plans for 621 more and the Longmont Housing Authority has added 434 homes with 92 in the works. This is almost 2,000 more affordable homes that will be added to communities over the next two to three years, Williams said. “I think what we’ve seen is a pretty rapid increase in these past couple of years in affordable housing that we’ve built and planned affordable housing that we have in the pipeline,” he said. The affordable housing issue is too big for one community to solve on their own, said Mackenzie Sehlke, spokewoman for Boulder County Housing and Human Services. Solving the affordable housing issue requires a community to think in collaborative and innovative ways, she said. “I’ve been very impressed to see the work of the regional housing partnership in individual jurisdictions allowing members of the community who don’t typically talk about housing to have an honest conversation about housing and to address some of the public health implications upon affordable housing,” she said. Williams advised other counties to identify their partners and to begin having conversations on ways to collaborate. “Just start the conversation, bring people together from across the county, from across the region, and start talking about ‘How can we come together to find new solutions to this problem that is getting worse for us?’” Williams said. Because of the collaboration, Williams said he is confident the partnership will reach their 12 percent goal by 2035, if not before. “We have a bright future ahead of us,” he said.